This quick Sunday post on the first snowy day of winter 2016-17 takes me back to the Montreal Botanical Garden and their bonsai collection. It was November, too, the last time I was in the green house there, and this colourful and shapely Ginkgo caught my eye. 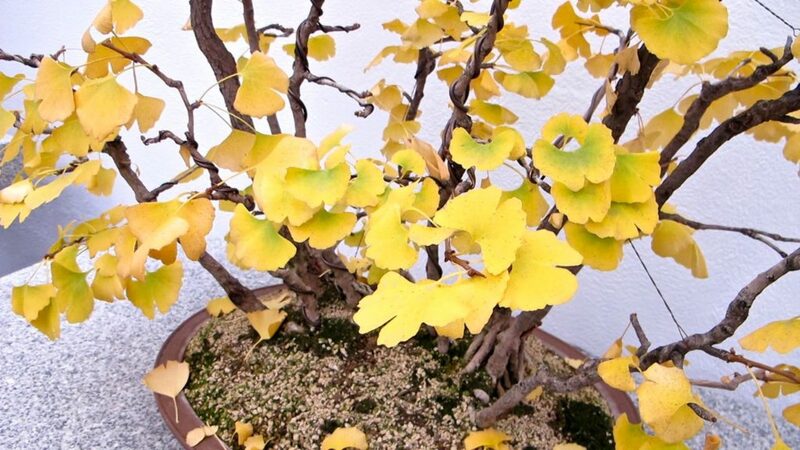 To me, Ginkgo biloba seemed an odd choice for a bonsai, when you think of their ramrod-straight trunk and pyramidal form reaching way, way up. The frilly gold fall foliage is wonderful, though, and appeared once in a post we wrote about yellow in the garden. 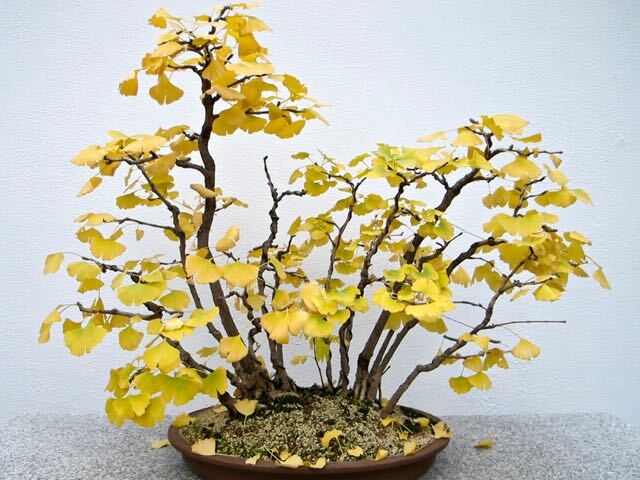 However, according to this group of bonsai aficionados in the UK, ginkgos are popular choices for this ancient art. 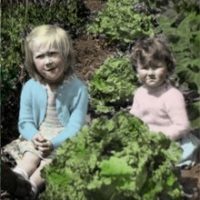 Looking at this one, I can see why. 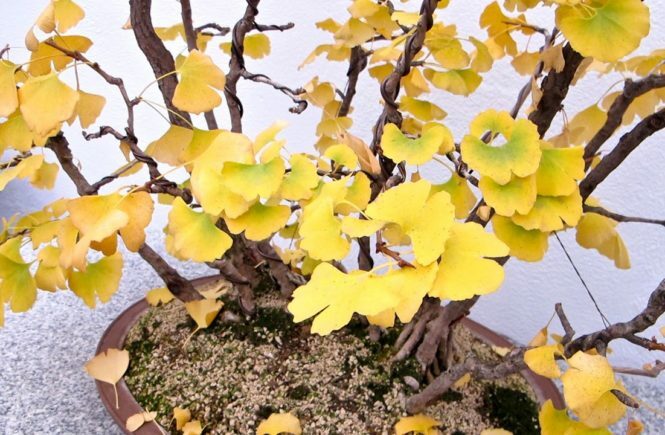 This ginkgo bonsai from the Montreal Botanical Garden is over 45 years old. An interesting tidbit from that link above: ginkgos are thought of as “living fossils” (which you probably knew already), but did you know they’re also classed as (coneless) conifers? In fact, they’re pre-conifer. Oh, geez. I love botany!